Most people are familiar with the term Passive housing and the difference it has over traditional construction. A B1 Rated house (100m2) has an annual running cost of 120kWh/m2.annum, or €1,500/annum, its crazy to be still building to this standard when energy prices are increasing by 10%/annum. A Passive House (100m2) has an annual running cost of 55kWh/m2.annum for heating, hot water and electricity, or €550/annum, these energy costs are still deemed too high by many of our clients. 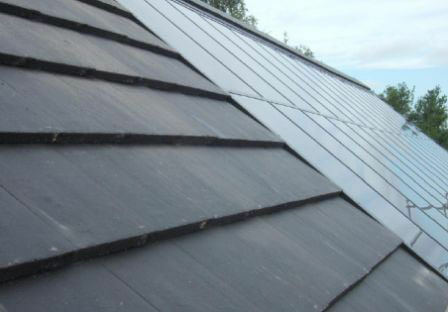 Our Zero Energy houses have no weekly bills for heating, hot water or electricity, they're built to Passive House standard and fitted with a 30m2 integrated Solar Roof. 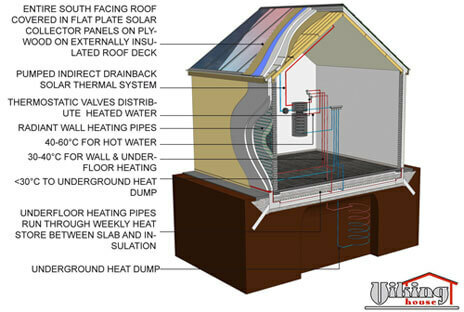 This is two levels beyond the passive house standard and complies with the EU's 2050 construction standards. Our construction costs are similar to traditional construction costs because we've developed cost effective super insulation and air-tightness methods combined with off-site construction technology, this reduces waste and down time and facilitates bulk purchases! We've developed robust construction materials and low tech heating and ventilation systems to substantially reduce dwelling maintenance costs! In addition our houses are often completed in 12 weeks as opposed to 6 - 8 months. 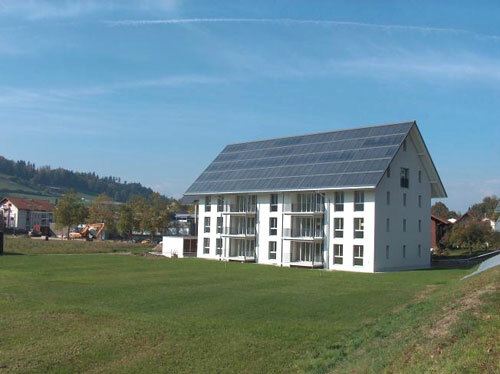 This Solar Passive House in Switzerland generates 40% more energy than it needs. In social/affordable housing terms this is particularly attractive as many tenants are on a limited budget and may have to decide on whether to eat or heat. Zero Energy Houses deliver on what is important 'the end users needs' and at a cost comparable to traditional build costs.